It's not often I use the term 'nailed it' when describing a groom's performance of their marryoke but there are always exceptions. Tom, you are that exception, you nailed it buddy! Now I have been looking forward to editing this one from the day I shot it. Not only was the song a personal favourite of mine (and Tom's too judging by the performance) but the video I shot throughout the day was exceptional. From a pitch perfect bride to a stoking rendition in the church (thank you Father) great guest involvement, a vintage Cadillac prop and a top notch finale with all the guests taking part. A joy to shoot and to edit, this one has to be a contender for marryoke of the year. Congratulations guys, you're awesome! 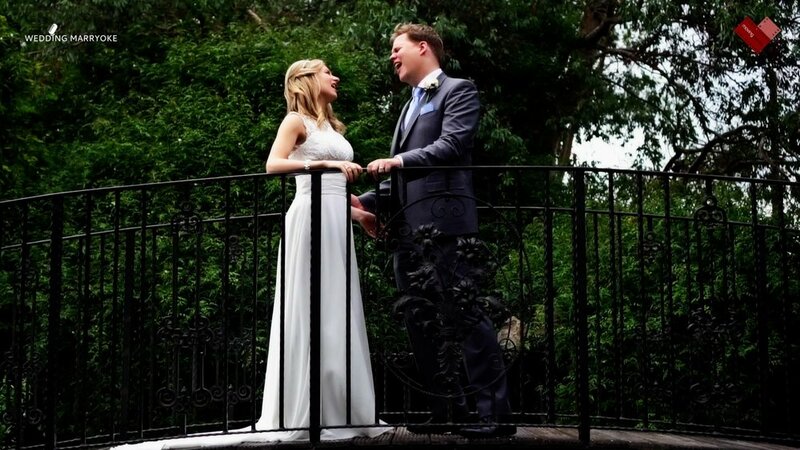 Also included as part of their 'Ultimate Marryoke' are both a wedding 'best bits' highlights video and a first dance video. 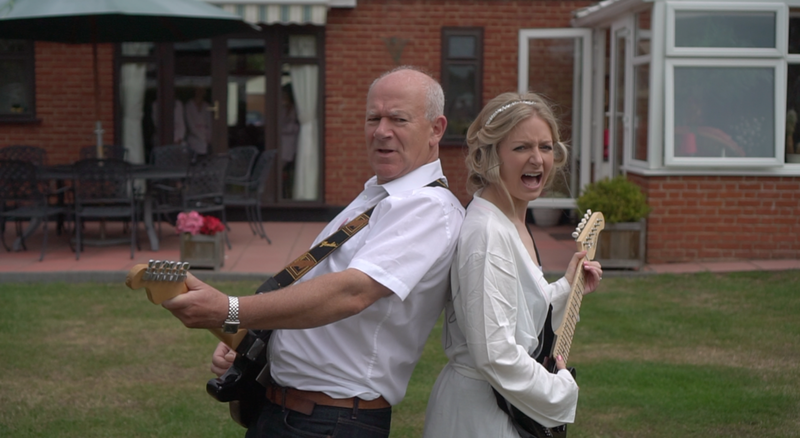 With so much footage it was hard to edit the highlights down to fit Emma and Tom's song choice, fortunately with a classic song like Mr Blue Sky by ELO which comes in at just over 5 minutes we had a long enough track to work with. On to the first dance or dance-off/extravaganza. Whatever you want to call it, the word awesome has to fit in the sentence somewhere. From the couple's performances during the day I should have expected something like this but nothing prepared me for the sheer dedication that they both put in to their performances.